Richard Hardon is a Business Transformation Expert, specializing in the innovative use of systems, strategies and solutions to help enterprises and individuals get from where they are to where they want to be. Born and raised in Atlanta, Georgia, Richard received his formal training at Duke University where he received Dual Degrees in Electrical Engineering and Computer Science. After Completing his formal education, he earned his real education from UHK - the University of Hard Knocks. During Richard’s 20-year corporate journey, which includes experience with companies like AT&T, Equifax, IBM, Oracle and Salesforce, Mr. Hardon discovered his superpower: understanding and assessing businesses to streamline processes and achieve more profitable outcomes. In 2007, Richard Co-founded PowerBuilders, a leadership development and training company, with his brother, Chuck. PowerBuilders has provided training for thousands of individuals - and has impacted their organizations through the application of entrepreneurial teachings, including marketing, customer acquisition and retention, cashflow management, asset accumulation and focused follow up. Richard is most noted for his charismatic personality, a dynamic and interactive training style, and a focus on engaging and entertaining audiences as they learn. 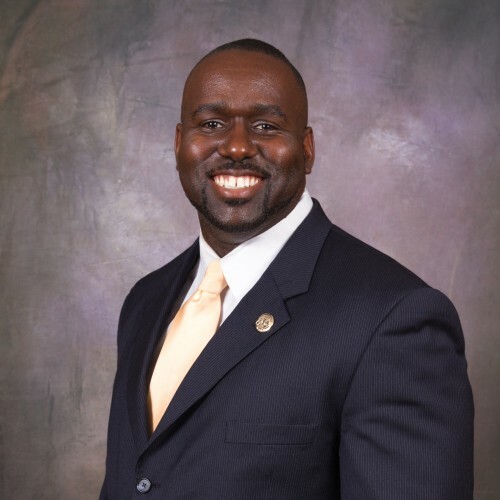 As a Speaker and Motivator, Richard was a semifinalist in the 2016 World Championship of Public Speaking and was voted #1 Speaker in Georgia by Toastmasters International. Currently he is the Facilitator for the National Speakers Association Speakers Academy leveraging his experiences as a Coach to guide emerging speakers to professionalize their messages and marketing plans. Audiences from 20 to 20,000 have been motivated by his messages. Richard delivers “HAVE-DONE” leadership messages drawn from his own successful business experiences, not “HOW-TO” theories. On a personal note Richard and his Amazing wife Nickey are proudest to have raised 3 Bold, Brilliant (and Expensive) Kids. His hobbies include lifting heavy objects, dancing the night away and occasionally dressing like a super hero.